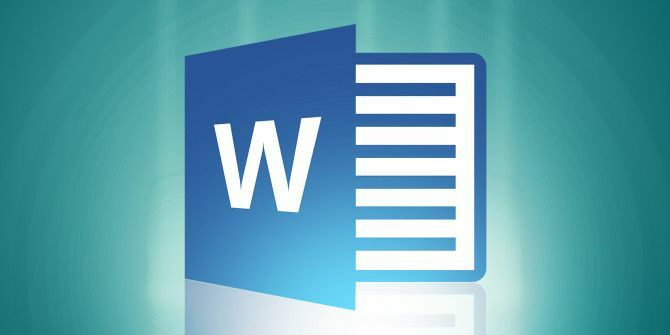 Microsoft Word has a new trick up its sleeve, and it should help anyone who struggles with the written word. The new feature is called Read Aloud, and it’s a significant improvement on the previous text-to-speech offerings in Word. Let’s hope this helps eradicate typos once and for all Why Typos Always Matter, Even Online & In Text Messages [Opinion] Why Typos Always Matter, Even Online & In Text Messages [Opinion] We all make mistakes from time to time. It's natural, a part of life, a learning curve which we use to better ourselves. Typos are no exception. They happen often, and if writing forms a... Read More . These updates come hot on the heels of the unveiling of Microsoft 365 Microsoft 365 Should Put Less Stress on IT Departments Microsoft 365 Should Put Less Stress on IT Departments Microsoft has unveiled Microsoft 365, a new offering for businesses which brings together Office 365, Windows 10, and Enterprise Mobility + Security. Which should help prevent IT departments from losing their minds. Read More , a new enterprise offering designed to destress IT departments. Microsoft 365 combines Office 365, Windows 10, and Enterprise Mobility + Security in one package. Making it easier for businesses to move to Microsoft. Not everyone will need to make use of the new Read Aloud feature in Word. However, for those who struggle with spelling for whatever reason, this is sure to be useful. And if Read Aloud makes typos a thing of the past then people like myself will be able to sleep more suondly soundly. Explore more about: Microsoft Office 365, Microsoft Word, Text to Speech.